To make the game better, you can install different modifications, addons and plugins, but there is a second option. 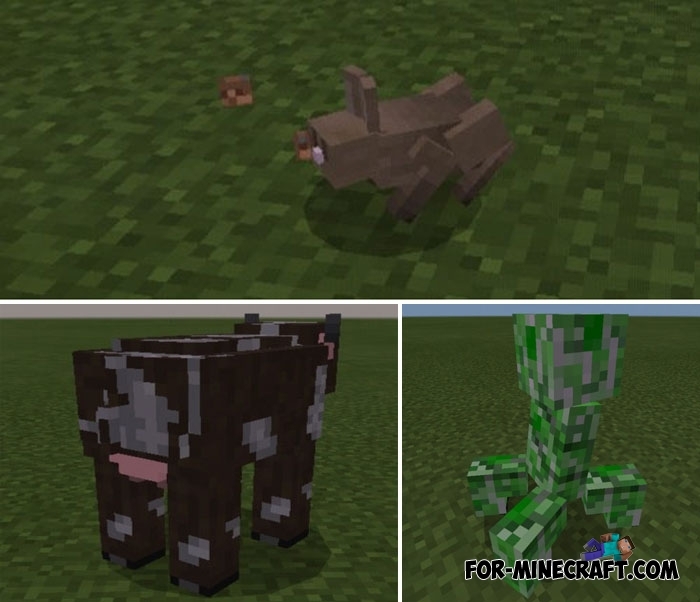 Real_cr21 prompts you to update Minecraft mobs, making them more realistic. This is achieved thanks to small details that are clearly visible if you approach the mobs closer. 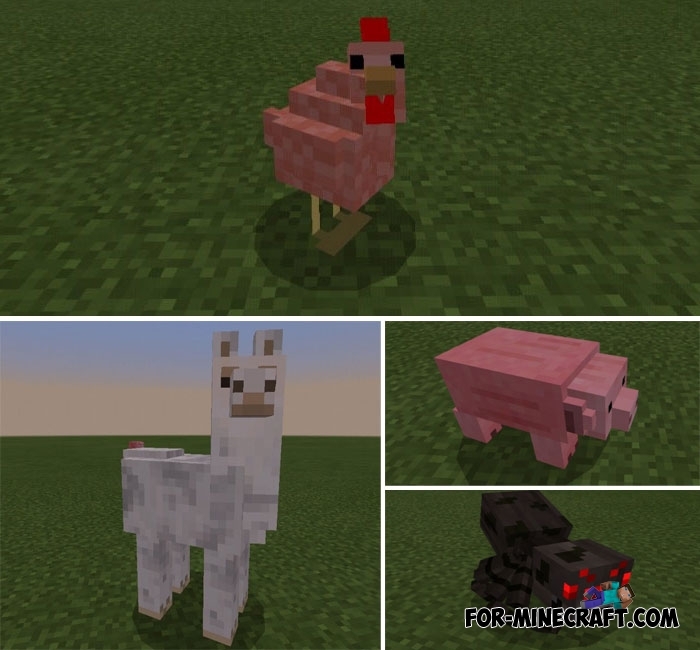 Just look at cows, pigs and llamas and look for differences from older models. 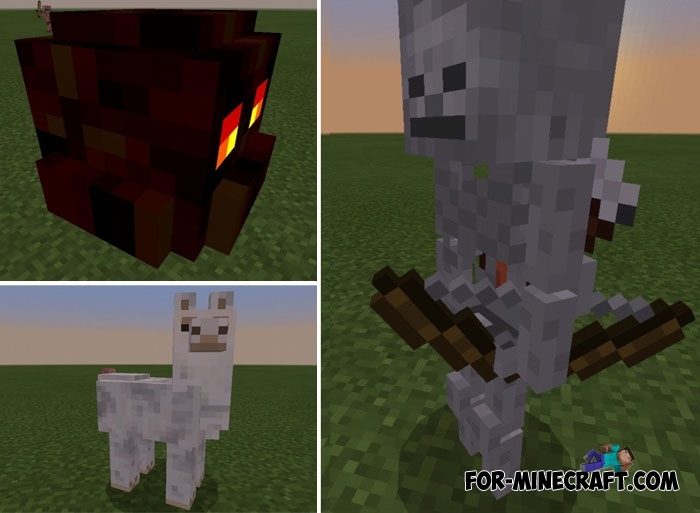 Only 10 mobs were subject to change: the models themselves remained the same, they are vanilla creatures in the original style but with new details. It can be paws, wings, noses, tails and other body parts. With them, mobs look much better and more natural, while the atmosphere of the cubic world is not spoiled. How to install Realistic Creatures?